I won’t drive while buzzed. Even just one too many drinks can impair my driving and lead to devastating consequences. It’s just not worth it. Buzzed driving is drunk driving, so I’m going to make sure I make responsible choices that don’t endanger myself and others. So far, more than 18,000 people have pledged not to drive while buzzed. But that’s just a drop in the mug, so to speak, considering the millions of people on the roads during the holiday season. According to the National Institute on Alcohol Abuse and Alcoholism, 2 to 3 times more people die in alcohol-related wrecks from Thanksgiving through New Year’s Day than at other times of the year. Forty percent of traffic fatalities during the holidays involve a driver who is alcohol-impaired, compared to 31 percent for the rest of the year. From November 26 to November 30 this year, seven people were killed in traffic accidents in our state, according to the South Carolina Department of Public Safety. Within the next two weeks, two more high-fatality holidays will occur and it’s likely that the statistics this year will follow the usual pattern. It’s such a shame: the late-year holidays should be times of joy and celebration, not occasions that will forever after be linked to many families’ last memories of their loved ones. 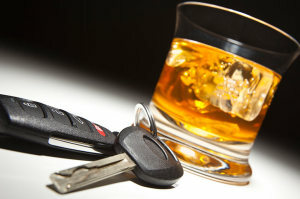 If you or your loved ones are harmed by a negligent driver – whether it’s someone with a BAC over the legal limit or a party-goer who “just” has a buzz on – call the Louthian Law Firm. With more than eight decades of combined legal expertise, we’ll be glad to set up a free initial consultation so we can review the details of your accident and give you seasoned advice after the holiday season’s happenings.